Friends of a missing B.C. 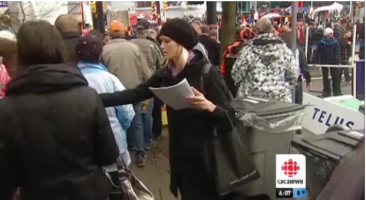 woman printed 6,000 flyers to hand out during the Grey Cup event in Vancouver. Even though six months have gone by, they’re determined to find answers. Madison Scott was last seen at a party at Hogsback Lake, a forest recreation site near the town — about 60 kilometres west of Prince George — in the early morning hours of May 28. Scott, 20, disappeared with her iPhone and the keys to her pickup truck, leaving her tent and the vehicle behind. Police investigators determined that Scott was last seen around 3 a.m. PT at the campsite. They were looking to speak to anyone who attended that party, or a second one at the same site that night. Extensive air, ground, and water searches have turned up nothing, police said. Even though six months have gone by, Scott’s friends are aiming to reach out as far and wide as possible, which is why they were handing out posters outside the Grey Cup game in Vancouver on Sunday. 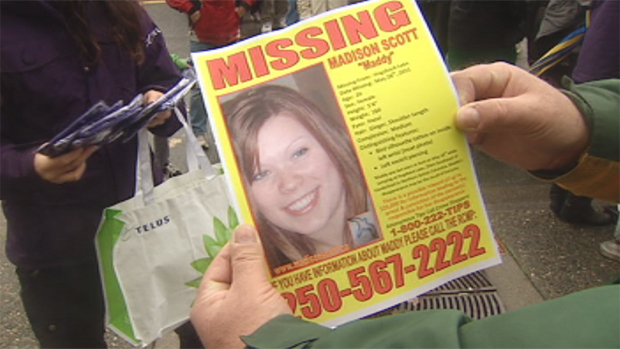 In September, Scott’s family announced that a $25,000 reward would be offered for information that leads to the arrest and conviction of the person responsible for her disappearance. « Cindy K.> Maddy where are you?? ?